Rockwood Rubbish Removal & Disposal, Junk & Waste - Best Prices! Don’t overpay for your rubbish removal service. Call Paul’s Rubbish Removal in Rookwood today and receive an affordable and cheap rubbish removal quote! Simply call us and let us know what you need removed. We’ll then provide you with an obligation-free quote and schedule a time and date. Once confirmed, our team will arrive at your location and be ready to load the junk! It’s simply that easy. Contact or call us today for a FREE rubbish removal quote in Rookwood today! Best Price Rubbish Removal in Rookwood – BOOK NOW! Call Paul’s Rubbish Removal today for FREE QUOTE on your next rubbish removal! 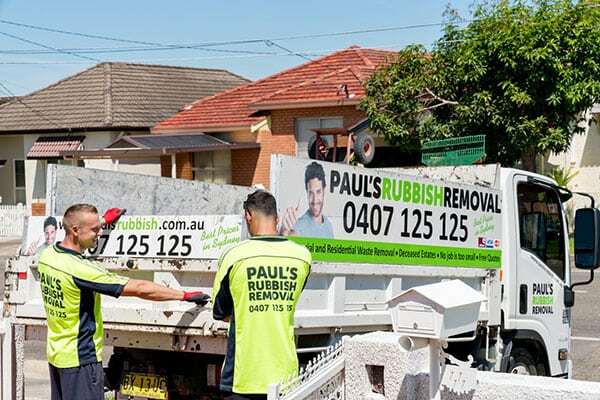 Call us and receive just some of the great benefits of working with Paul’s Rubbish Removal. Call us today for an obligation-free quote on your next rubbish removal pick-up in Rookwood. Our number is 0407 125 125!